Two former St. 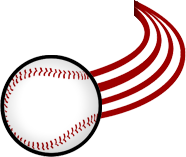 Cloud Rox staffers were selected on an impressive list consisting of up-and-coming sportscasters in the country. 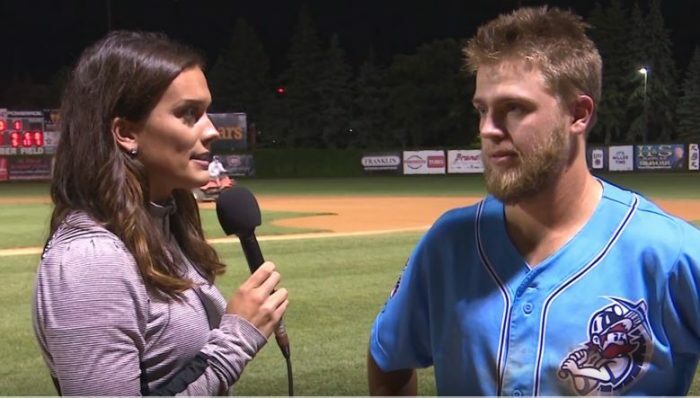 Katie Emmer interviewing Drew Avans after a Rox win in 2017. Emmer, a St. Cloud State graduate, is currently working for Fox Sports North in Minneapolis as a reporter and on-air talent. In 2018, she was selected as the recipient of the Jim Nantz Award, which is awarded to the nation’s most outstanding collegiate sports broadcaster. Fisch before making his NHL broadcast debut in February for the Washington Capitals. Fisch, also a St. 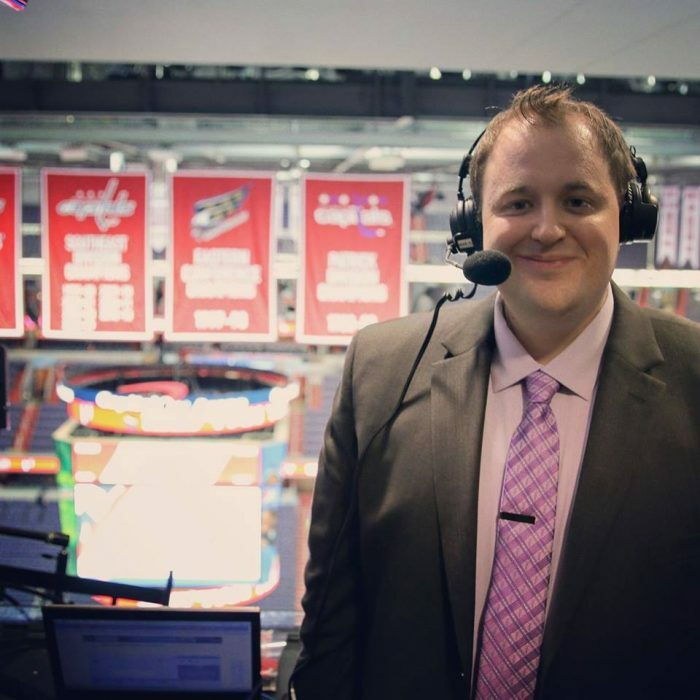 Cloud State graduate, is currently the Manager of Media Relations and Broadcasting for the Hershey Bears in the American Hockey League. 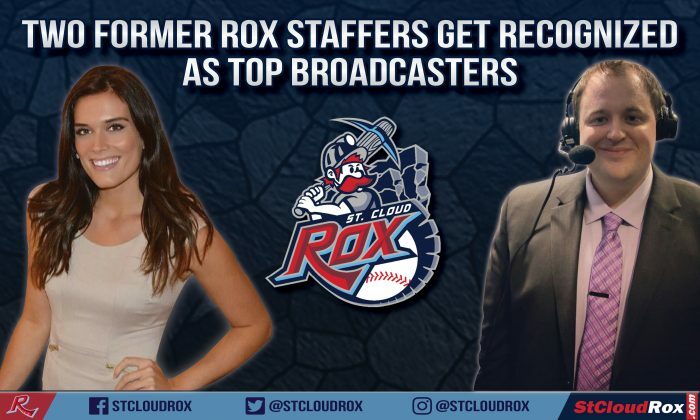 After his time with the Rox and before joining the Bears, Fisch spent time as the Director of Broadcasting and Media Relations with the USHL’s Dubuque Fighting Saints and as the Director of Communications and Broadcasting for the ECHL’s South Carolina Stingrays.